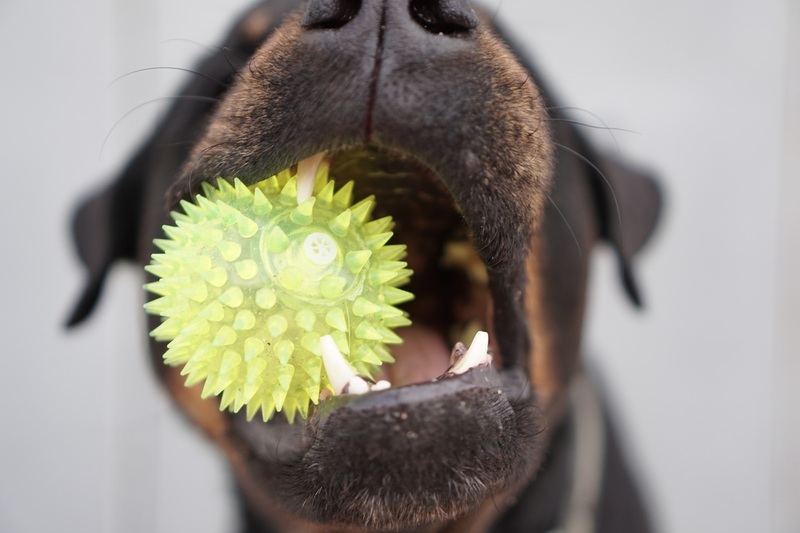 February was officially established as National Pet Dental Health Month in 1993 by the AVDS, the American Veterinary Dental College and the Academy of Veterinary Dentistry. Laguna Creek Veterinary Hospital offers special promotions and incentives all month long in an effort to increase public awareness of the dangers of periodontal disease. 85% of all dogs and cats over the age of 3 have some degree of periodontal disease. This may begin with a slight amount of tartar or plaque or inflammation of the gums. If left untreated, bacteria in the mouth accumulates and is constantly ingested by the pet. This bacteria can lead to damage of the heart, liver and kidneys, so early prevention of dental disease can extend the life of your pet. How Are My Pet&apos;s Teeth Cleaned? Just like in human dentistry, the teeth are scaled and polished with the plaque and tartar removed above and below the gum line. We use state-of-the-art equipment, in fact, the same equipment used by some human dentists. The main difference between a dental cleaning between humans and pets is that animals need to be under anesthesia when the dental is performed. As you can imagine, pet&apos;s don&apos;t open and say "Ahhhh" for an oral exam. Under anesthesia, we are able to thoroughly examine the mouth and probe around each tooth for pockets, mobility, fractures, caries (cavities) and infection. How Do I Get a Dental for My Pet? ​Because this is an anesthetic procedure, certain precautions need to be taken to ensure the safety of the animal. A current exam needs to have been done (within the past year) as well as a more comprehensive blood panel for older pets. Pre-operative blood work is always recommended to evaluate liver and kidney function as well as blood sugar levels to make sure their is no pre-existing condition that may compromise the animal if put under anesthesia. A pre-op is optional for younger, healthy animals, but is recommended. If a problem is detected, the dental may be postponed or cancelled, or the drugs used for anesthesia may be adjusted, or IV fluids may be required. An appointment is scheduled with a receptionist. Dentals are performed Monday-Friday, Tuesday and Thursdays offer later evening pick-up times. The day of the dental, your pet needs to be dropped off between 7-9 in the morning, having no food after 9 p.m. the night before. If it is determined that your pet needs bloodwork beforehand, this should be done a few days prior to the scheduled date of the dental. My Groomer Offers Teeth Cleaning. Can&apos;t I Just Have Them Do It? The practice of teeth cleaning (removal of calculus, soft deposits, or the smoothing, filing or polishing of the tooth surfaces) by anyone other than or under the direct supervision of a licensed veterinarian is strictly prohibited by law. The health risks associated with this practice are so numerous and potentially life threatening that it is now illegal to do so. Visit the Veterinary Medical Board website for more information. Should I Have My Pets Teeth X-Rayed? Dental radiographs are an invaluable tool in treating dental disease. Treating disease above the gumline is only half the battle. Many pets can have tooth root abscesses that are invisible from the outside. These abscesses are very painful and can spread infection to the rest of the body through the bloodstream. If you or I had a toothache, we would go right to the dentist. Unfortunately, our pets can&apos;t tell us that they hurt and most will never give any outward sign including lack of appetite. Abscesses can occur when bacteria find their way to the root of the tooth due to bone loss or fractures. X-rays can detect bone loss, infection, retained root fragments and some types of tumors.